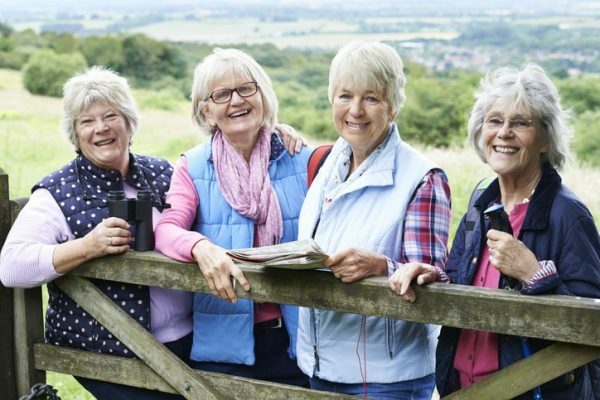 Wanting to travel more in retirement? Maybe you’re almost retired or maybe you’re already there. Either way, the Southwest Companion Pass can be one of the best tools in your arsenal for saving on travel. When you hold a Southwest Companion Pass, another person can fly FREE with you (aside from mandatory government security fees), which is a HUGE savings! It’s literally never been easier to earn a Companion Pass than RIGHT NOW with this amazing offer from Southwest that is currently available through February 11, 2019. But first, here are 5 things you need to know about this BEST deal in travel! When you hold a Southwest Companion Pass, you can fly one companion with you on the same flight for free. Your flight can be paid with points or with cold, hard cash. For example, if you and your significant other want to fly to Florida to survive the winter blues, you can book a ticket for yourself with cash OR points and then another FREE ticket for your companion. The only thing you will have to pay for is the mandatory security fee, which within the U.S. is $5.60 per way. Are there places on your bucket list that you haven’t yet visited? With your Southwest Companion Pass, you and a friend or loved one can begin checking those off one by one! What to visit the Caribbean with destinations like Grand Cayman? Check! How about Sedona and the Grand Canyon after flying into Phoenix, or Acadia National Park after flying into Portland, Maine? Check! Want to whale-watch or see the famous Arch of Cabo San Lucas? Check! Southwest flies as far south as Costa Rica and as far north as Seattle. Who knew?!! Did you know that you can change your companion three times each year after you first select them? That means you could have FOUR different companions every year! Say you start with your spouse as your companion but then want to have a girl’s weekend away. You can change the name on your pass by contacting Southwest. You can change it again when you want to take your mom to her high school reunion and then change it one more time to take your grandchild on a college visit to your alma mater. Southwest’s site does say to please allow 21 days for processing, though we’ve never found that to be an issue. Lyn says the last time she changed her companion, it took effect in about five minutes :). Southwest is unlike any other airline! Their companion pass can be used as many times as you want throughout the duration of the pass, unlike other airline Companion Passes that are only good ONE TIME. That means you can take a companion for free on every single flight you have planned as long as you hold the pass. With the average round-trip flight in the U.S. costing $350, that is potentially a GIGANTIC savings to your wallet. Wash, rinse and repeat this scenario as many times as you’d like until the pass expires. The Southwest Companion Pass has never been easier to get than it is right now! 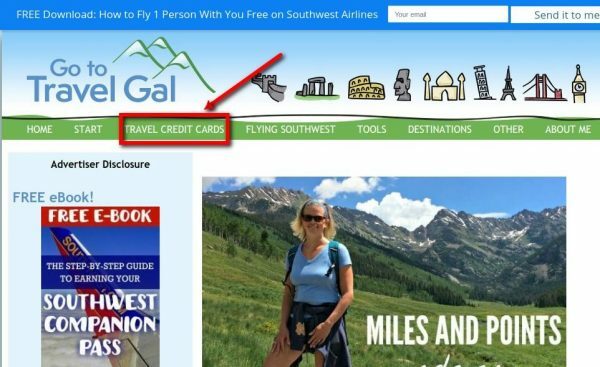 To take advantage of Southwest’s current offer, you can sign up for any of their personal cards (so long as you have NOT earned bonus points on any of their personal cards in the last 24 months), meet a $4,000 minimum spend in three months and voila, you have a Companion Pass good through the end of the year, plus 30,000 Southwest points to spend however you’d like! 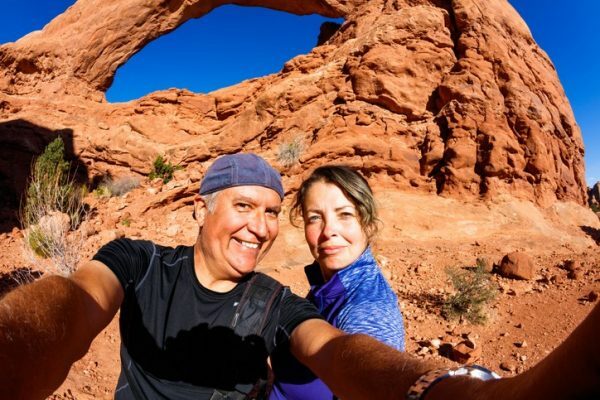 If you HAVE opened a personal Southwest card in the last 24 months, perhaps your spouse or a loved one is eligible instead and can bring YOU as THEIR companion. 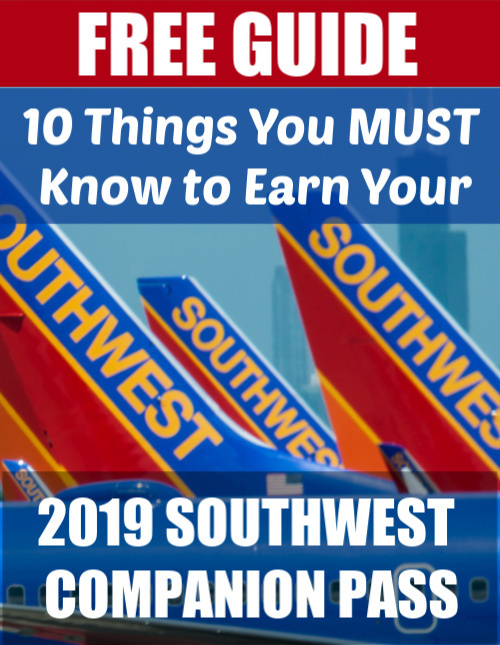 You can also take the traditional route, which requires earning 110,000 qualifying Southwest points and get a Companion Pass that is good through the end of the FOLLOWING year (that would be 2020 if you earned it in 2019). Though 110,000 points sounds like a lot, with one or two Southwest credit card sign-ups (you can cancel after you earn the bonus points, although we advise holding on to them as you can earn even more points that way) plus some other strategic options like utilizing Rapid Rewards Shopping, Rapid Rewards Dining and SouthwestHotels.com, you can quickly be on your way to a full pass. 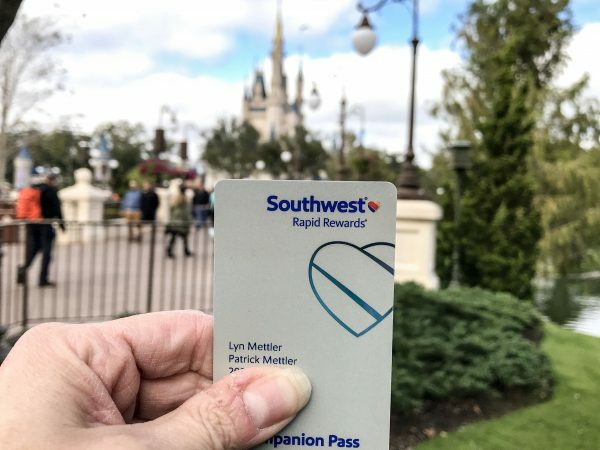 Lyn’s “How to Earn the 2019 Southwest Companion Pass” online course walks you through a variety of scenarios to earn the traditional pass and offers tips and advice for how to make the most of the pass once you have it! You can enroll in the online course for only $35 through the month of January, after which it will increase to its regular $75 price. If you decide to apply for any credit cards, please use the TRAVEL CREDIT CARDS link in the main menu above [shown below], as that helps support the blog at no cost to you. Thank you!